The Millville Police Department building. A recent report from the ACLU of New Jersey claims blacks are much more likely to be arrested for minor crimes in a South Jersey town. 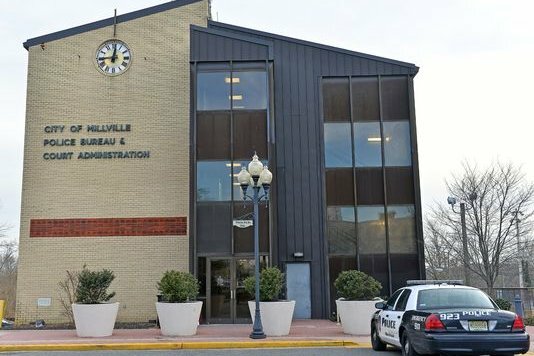 The report, released Dec. 21, says that black residents in Millville are booked 6.3 times more often than their white counterparts for low-level offenses, according to data for the most recent years available. The ACLU also observed data from thee other New Jersey towns, finding similar results; blacks were 9.6 times more likely than whites to be arrested for small crimes in Jersey City, 3.4 times in Elizabeth, and 2.6 times in New Brunswick. “The data reveal a clear pattern of communities of color disproportionately bearing the brunt of police practices that target low-level offenses,” ACLU of New Jersey Executive Director Udi Ofer said in a release accompanying the report. The arrest rates published in the report have been adjusted to reflect the racial makeup of the towns in the study. Each is a per capita rate based on the number of arrests per 100,000 people of a particular race. The report stems from a 2013 national study from the ACLU that said blacks were 2.8 times more likely than whites to be arrested for marijuana possession in New Jersey. The ACLU of New Jersey said the four low-level offenses they examined were crimes where police officers often use plenty of discretion: loitering; marijuana possession of 50 grams or less, defiant trespass; and disorderly conduct. "Whether the cities were large or small, or in north, central or southern New Jersey, the data revealed a clear pattern of people of color bearing the brunt of police practices." As a result of the Millville findings, the Cumberland County Prosecutor’s Office will look at the report, The Daily Journal reports. “We are always interested in how racially neutral policing strategies affect the community and hearing from the public whether they feel it has a `disparate’ impact on particular communities,” county Prosecutor Jennifer Webb-McRae said Tuesday. Webb-McRae did not fault Millville police on the points raised in the report by the state chapter of the American Civil Liberties Union. She called Millville police Chief Jody Farabella, who took over in September, “a partner” in community engagement efforts. The report also takes a shot at how police keep records of arrest data, claiming that some departments were missing information for several years. It calls on the New Jersey Attorney General to review the racial disparities in low-level offenses throughout the state.